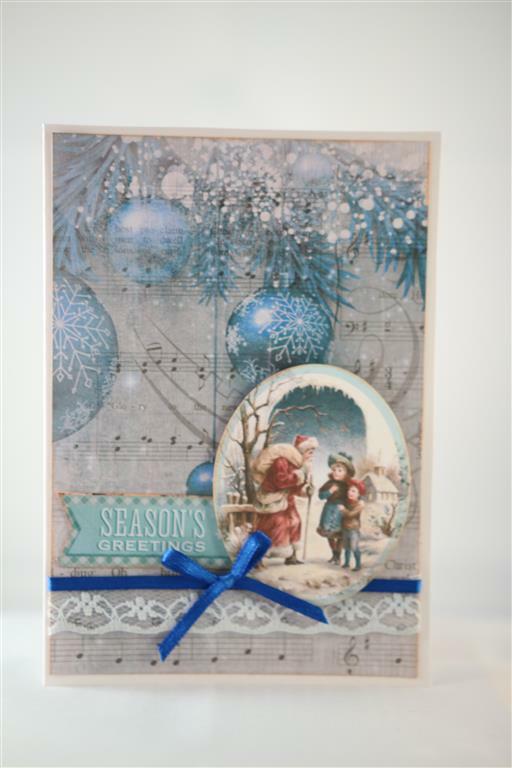 Kaisercraft silver bells 23,24,25..the last…. kaisercraft silver bells, 17,18,19,20,21 and 22! 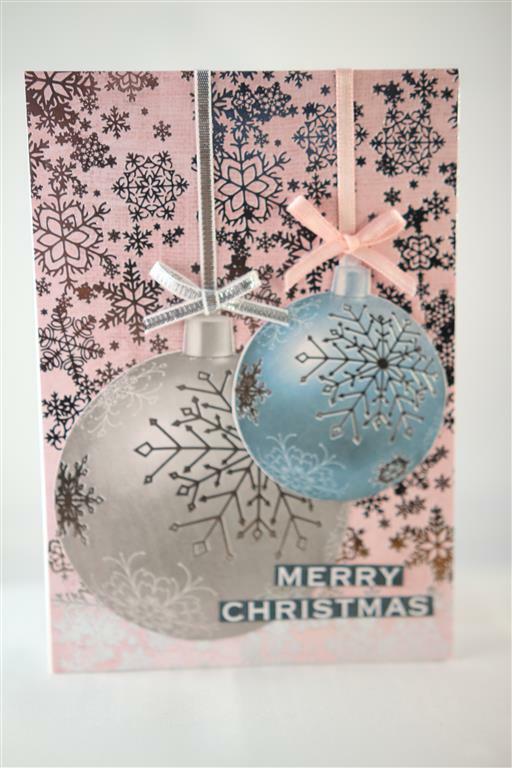 We have come back to kaisercraft Silver Bells paper colection because I know quite a few of my lovely followers have bought this collection and are enjoying seeing my creations with it. 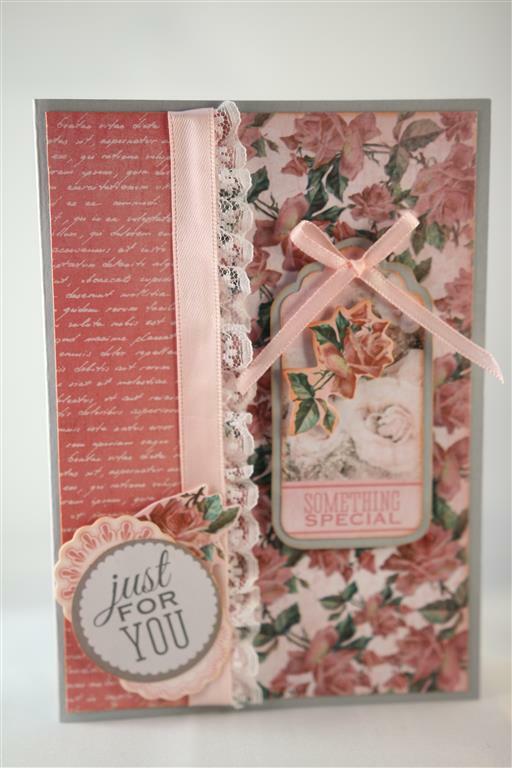 Six cards today, 3 more tomorrow and we will finally say goodbye to this one!these ones are all made from the 12 x 12 papers, collectables, and the only extra is ribbon. 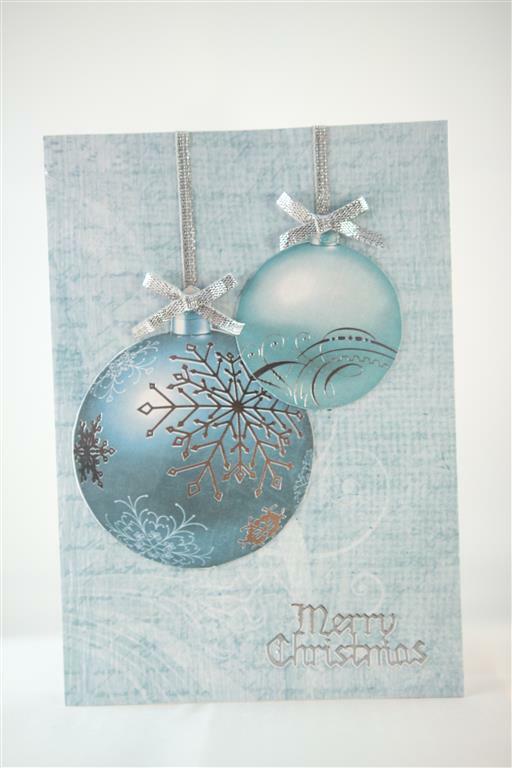 (Oh, there may be a little paper from the 6″ pad too, but it would be easy to substitute 12 x 12 papers).I have moved on from christmas cards for the moment, and I am playing with the new collection from Kaisercraft called sail away. 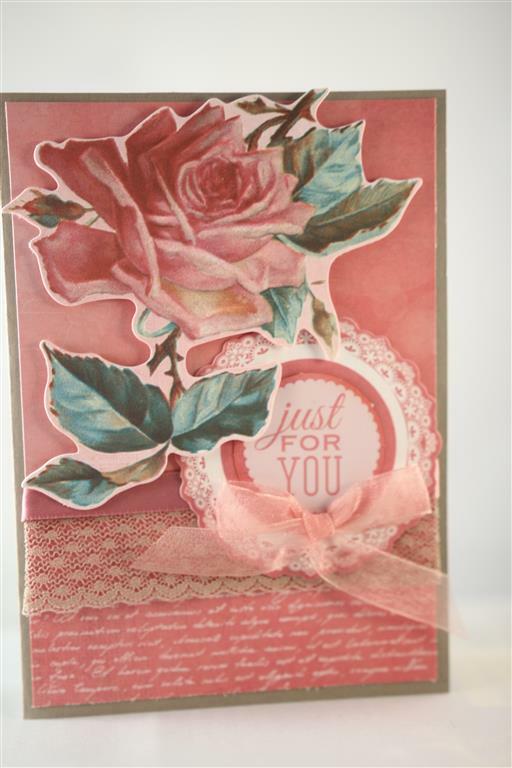 It is great for male themed cards and the colours are beautiful clear red, and blue. I also bought a few of the new dies that tie in with this collection. I find I have become a little addicted to the kaisercraft dies because they cut so cleanly through my big shot machine. yesterday I spent a little time just die cutting anchors, chains and lighthouses so that I have a nice collection on the craft table, and don’t have to spend time getting up and down to die cut.Looking forward to a nice crafty session as long as my back holds out – in a bit of pain and off now to find the hot water bottle! til tomorrow…. 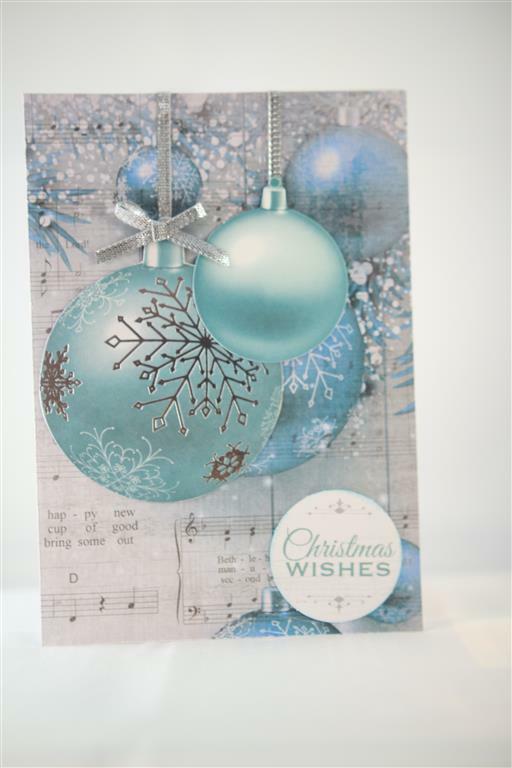 kaisercraft silver bells 14,15,16..Not Christmas!! 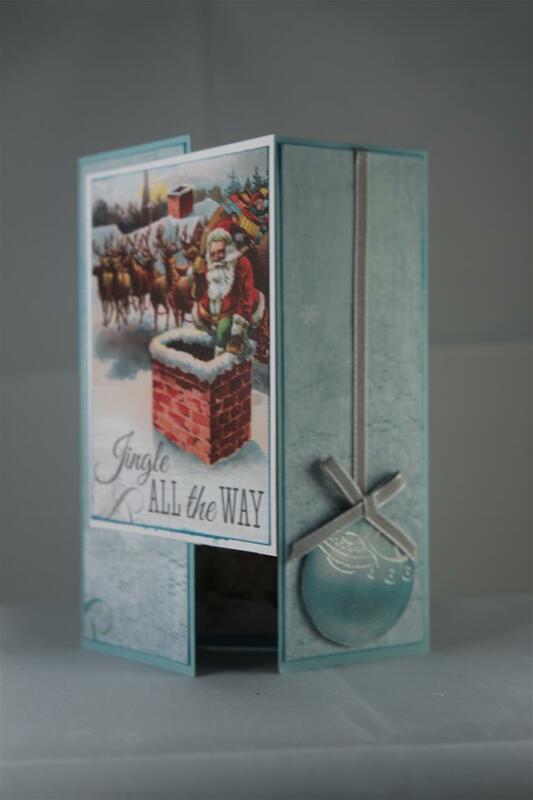 Kaisercraft silver Bells collection – 6″ pad and matching collectables. There were some bits and pieces in this collection which made lovely female birthday cards , made a change from christmas! !here are three of my non christmas cards .Lots of ribbon and lace and teamed with grey cardstock, because I do love pink and grey! We are going to take a break from the silver bells collection, although I have so many more to show I think I will put them all up in one post later on down the track, because I have been busy with other collections as well, and it will be Easter before we get through them all!! 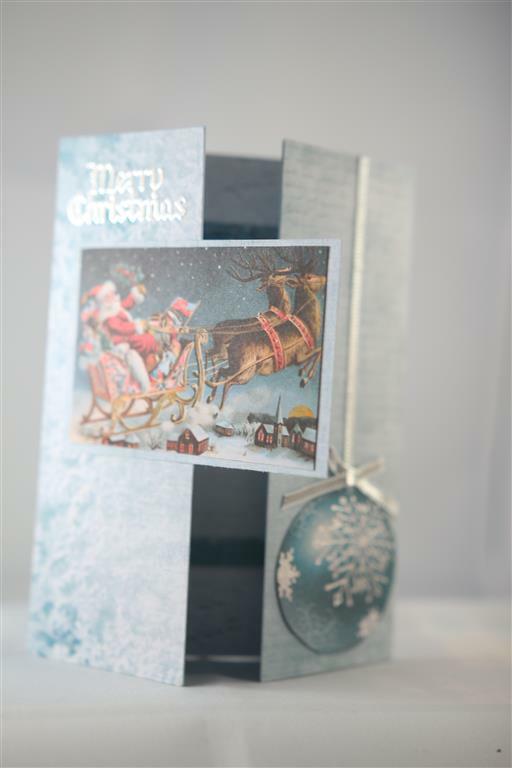 Today I have been busy making more christmas cards for an order I received last night for 50 xmas cards. it’s all done now, and honestly I feel like packing up the xmas bits and pieces and moving on, but Mum tells me it’s too early to do that.I think I have done 300 cards this year already. Tomorrow I will work on some mens cards I think just for something completely different and on Monday I am sitting in on a class to learn some new techniques..so excited to be the student.. can’t wait! til tomorrow…. 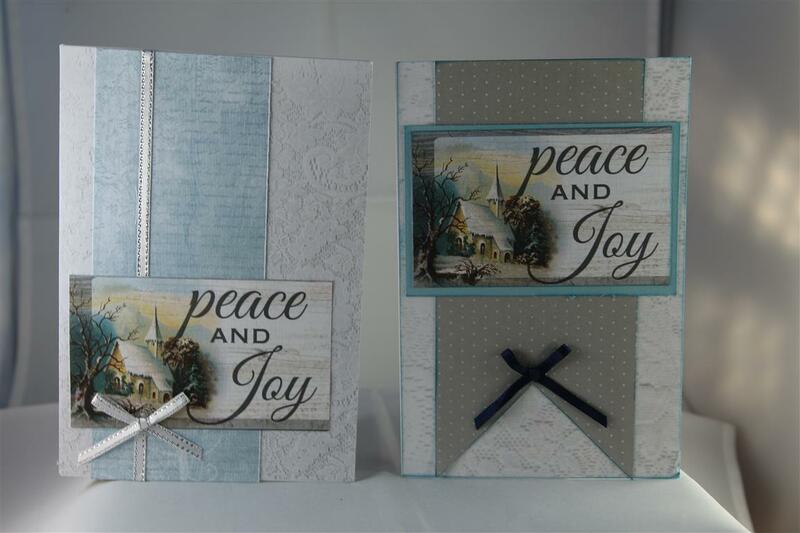 Kaisercraft silver bells 11,12,13, gatefold. 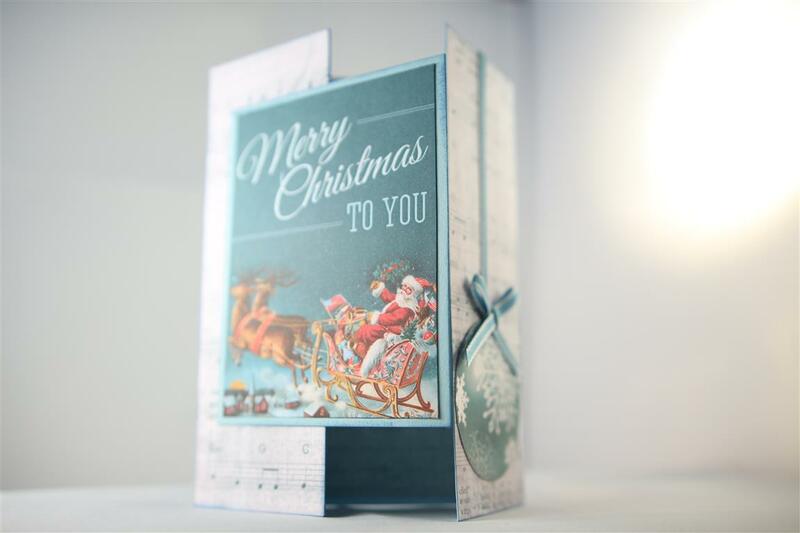 Kaisercraft silver bells, and these ones are a gatefold design – just using an a5 piece of cardstock ( 21 cm x 15 cms) fold the outer edges into the middle, easy to do and a really nice change from the standard fold of card. 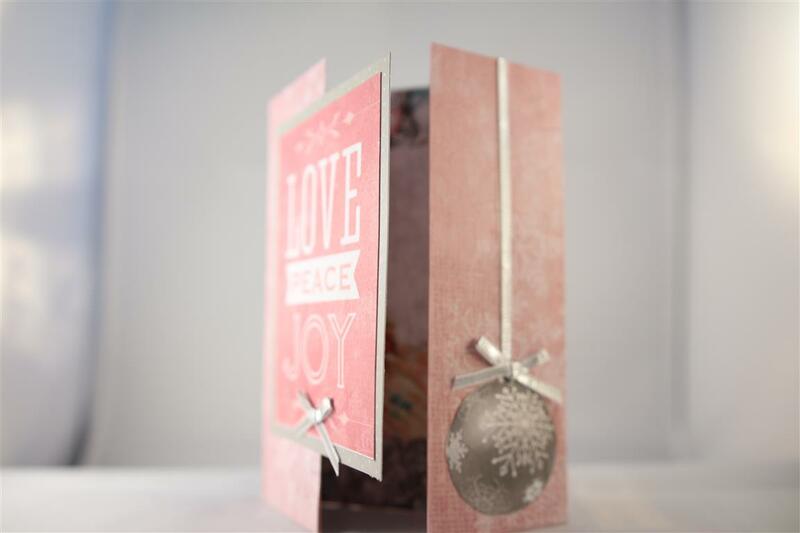 I have made good use of the 12 x 12 sheet of kaisercraft silver bells card front images, and fussy cut some baubles from another piece of 12 x 12 paper to decorate the other side of the card front. Inside is also decorated with paper. Ribbon and bow to finish off the bauble. These cards are based on a class I taught earlier this month.Day off today, and I am going to get my eyes tested, and maybe a little retail therapy as well! til tomorrow…. A quick post tonight, while tea is in the oven! This is my simplified version of a side stepper card. i have played around with the measurements so that it fits in a normal c6 envelope for ease of posting, and its just one cut and a few folds. I did a class with these and everyone got the gist of them very quickly! 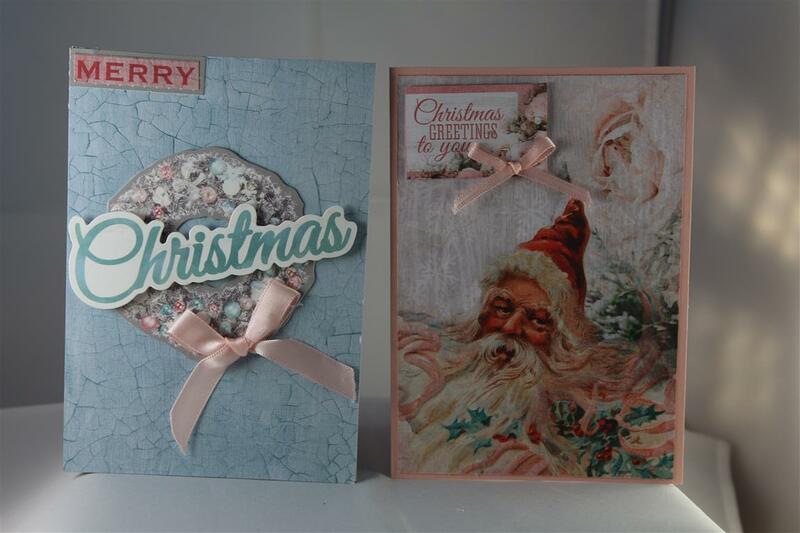 In a couple of weeks when I am on holidays Nathan and I will do a youtube video with all the measurements!In the meantime for the decoration I used Kaisercraft silver bells patterned paper, and inked all the edges with tea dye distress ink, and added a lovely silk bow, and some lace on the very back panel.Oops theres tea ready.. til tomorrow…..
3 cards today, all made with Kaisercraft Silver bells paper collection and matching collectables. I put these ones up altogether in this post as the are all following a similar design using the baubles from the collectables pack and the sheet of 12 x 12 paper ( which I fussy cut out). 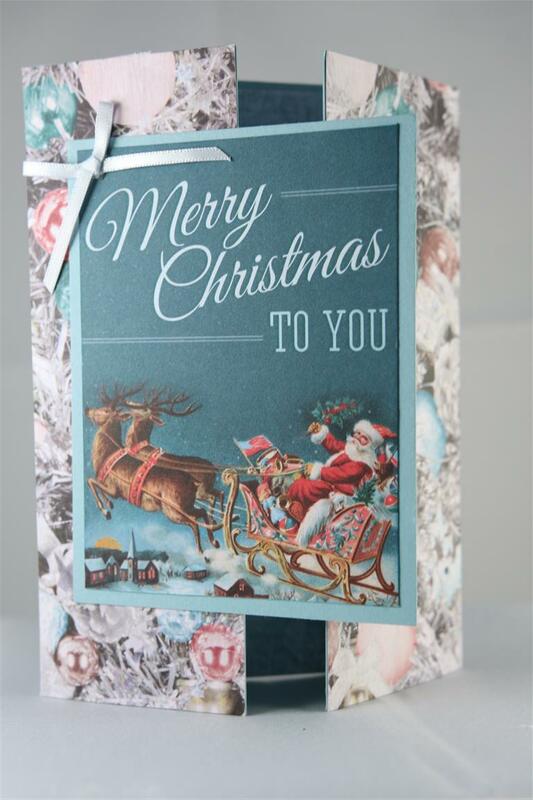 Silver ribbon and little bows for interest, and the greetings are from the papers. day off today and I am on my way to the dentist. Nothing major, just a little filling, but not fun all the same. Its a glorious day here in adelaide, much too nice to be stuck in the dental surgery! 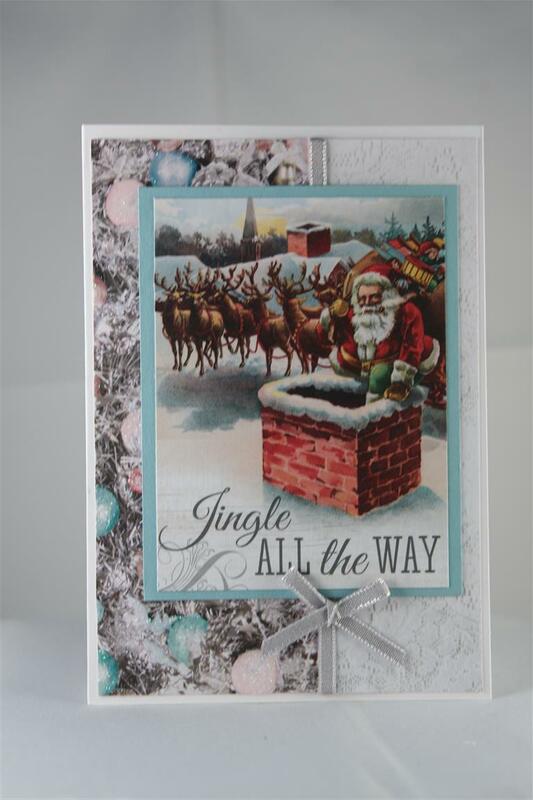 til tomorrow…..
Kaisercraft Silver bells paper collection and matching collectables. 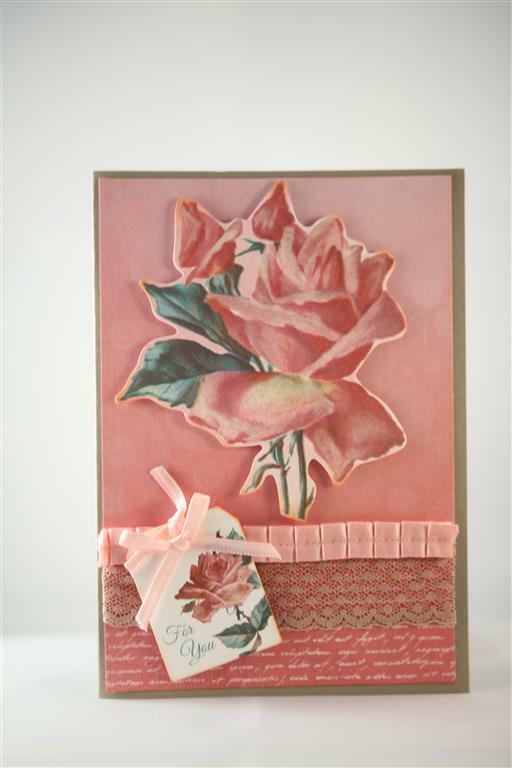 The top card has a piece of 12 x 12 paper as the background, a collectable image and the greeting is from a piece of the 12 x 12 paper. a touch of ribbon and lace completes that one. 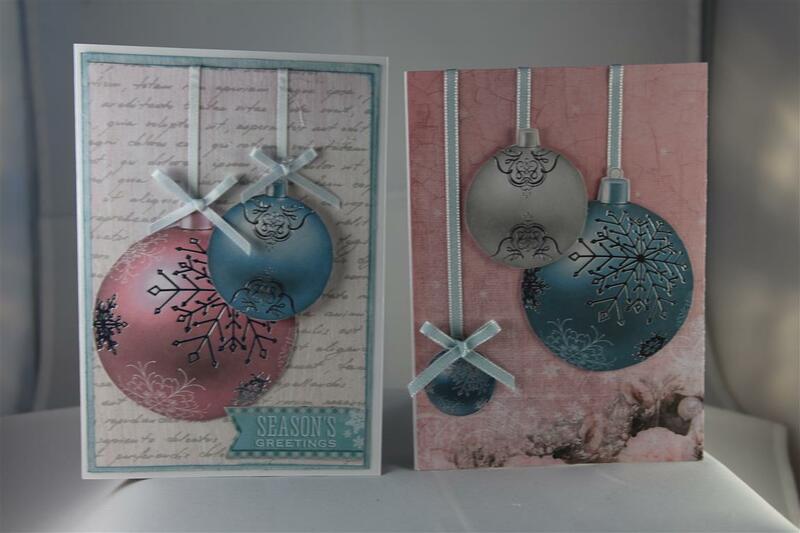 the second card has a piece from the 6″paper pad for the background and the baubles are a mix of collectables and fusy cutting from a 12 x 12 paper.collectables for the greeting, and ribbon to finish.we will take a couple of days break from this series, so next time something different! we will return to these later in the week. Another lovely weekend gone by, and its a very early start for me tomorrow, so early to bed tonight, but might still mange another hour in the craft room! til tomorrow….